Workshops are FREE with membership to World Fiddle Day Toronto (as is the evening concert with Guest Artists/Workshop leaders). 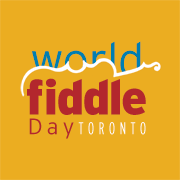 Membership to World Fiddle Day Toronto has many benefits and all those who are 25 and under can become members for FREE. Please check back in January 2018. Both step-dancers and fiddlers, Andrew and Diana will take you through a couple of good Old-Time Canadian tunes. You will work on how to get the phrasing and dynamics typical of Ontario style and perhaps even a step or two to go with them. Scandinavian tunes are very interesting, showing rhythmic complexity, stark beauty like the Scandinavian landscape, and sounding as exotic as any music found on the planet. Tales abound of the supernatural link between the fiddler and the twilight world of devils, sprites and trolls.Traditionally these are dance tunes played on the Hardanger fiddle (Norway), Nyckelharpa (Sweden) and the Jouhikko (Finland) as well as ‘regular’ fiddles. 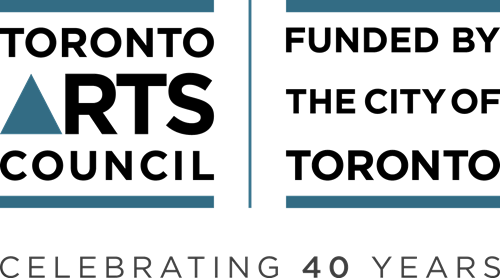 Anne Lindsay, a Toronto fiddler who was the folk fiddler for The Lord of the Rings musical production will teach you how to play a Finnish waltz and a Swedish polska as well as giving a brief demonstration of the haunting sounds of traditional Nordic fiddles. Originally from Manitoba, fiddler/singer/composer Anne Lederman is strongly rooted in several Canadian musical traditions, old and new – Metis and French-Canadian, Scottish, Irish and Old-Time Canadian, Eastern European and African. She sings in several languages and also plays mandolin, tenor guitar, piano, bones, feet, jawharp and more. In 1985 and ‘86, she returned to Manitoba to study and record the music of Native and Métis fiddlers, resulting in a 4-record archival set of recordings titled Old Native and Métis Fiddling in Manitoba (re-released in 2004 as a double CD set on The National Museum’s Archive label). If you are curious about the music of La Belle Province, this workshop is for you. You’ll have the possibility of learning different kinds of Quebecois repertoire from a master, including Brandys (3/4), Galops, Cotillions, Jigs, Marches and «straight» reels with an even or odd number of parts. The class’s pace will be averaged from the levels of the participants (Intermediate level suggested). Please bring a small recording device as all melodies will be taught by ear. Bowing and ornamentation will be discussed and taught as well as how to incorporate the music in your own personal style. No sheet music will be given at class. Persian music is full of altered tunings, notes that are in between those of the western scale, wonderful rhythms and ornamentation that can change a simple tune into a beautifully evocative and complex one. You will discover sounds you didn’t know you could make on a violin and learn about one of the most ancient styles of music in the world, one which had an influence on all of Eastern Europe. Kousha will take you through a few of the tunings, scales and simple rhythms and tunes of this tradition. Ever wonder how to play an Erhu? Do you love the sound of this ancient instrument? Erhu is a traditional Chinese fiddle that has more than one thousand years of history, and is the featured instrument in movies such as Kungfu Panda and Crouching Tiger Hidden Dragon. In this workshop, you will learn about the history and folk melodies of the er hu and get hands on experiences in trying to learn a short folk tune. Amely will bring enough instruments for everyone to give it a go.